It's Friday again and Jenni's got another new release over in the digital shoppe! 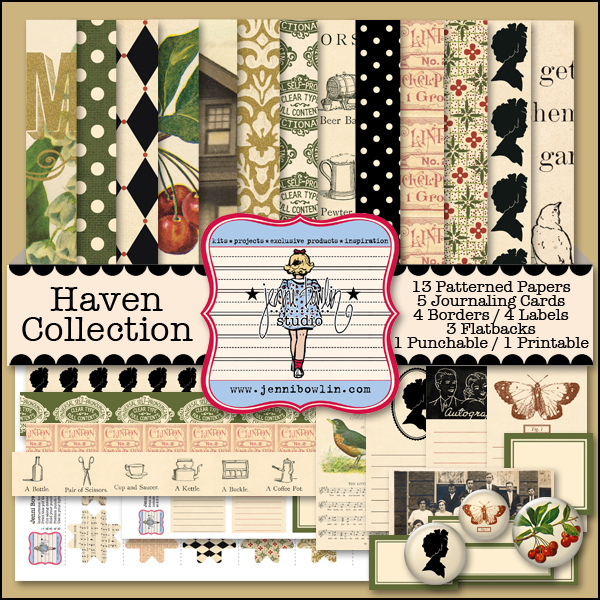 The Haven Collection features a fabulous vintage mix of patterned papers, journaling cards, labels, borders--and as an added bonus this digital release also includes three new flatback designs. 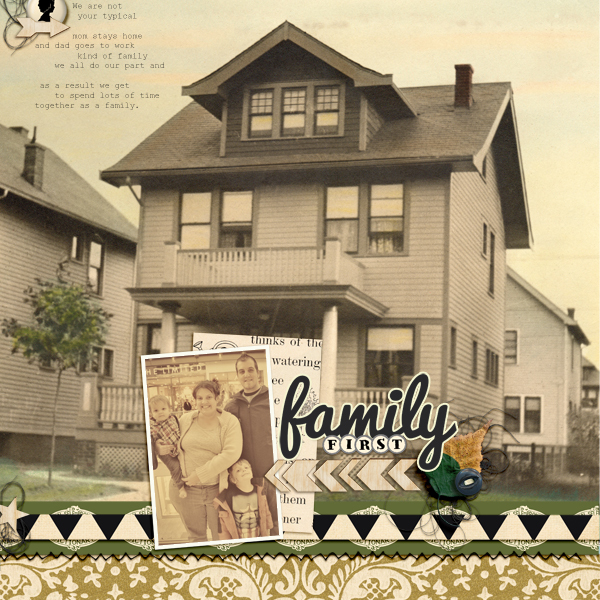 Here I've used this bold house paper to scrapbook our latest family photo and record a few details of our family's "story." The doorway of the home ended up being the perfect place for my photo and the sky in the paper is perfect for journaling on. So if you love this patterned paper as much as I do--don't be afraid to give it a try! 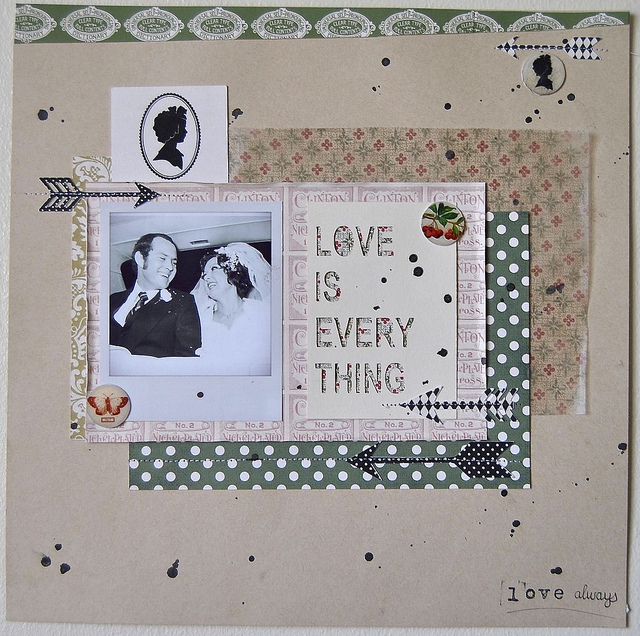 Roelien van den Berg has created this wonderful hybrid layout in which she has mixed and layered several of the kits patterned papers and borders together so nicely. And I simply love how she's printed out the flatbacks and used them on her paper page! 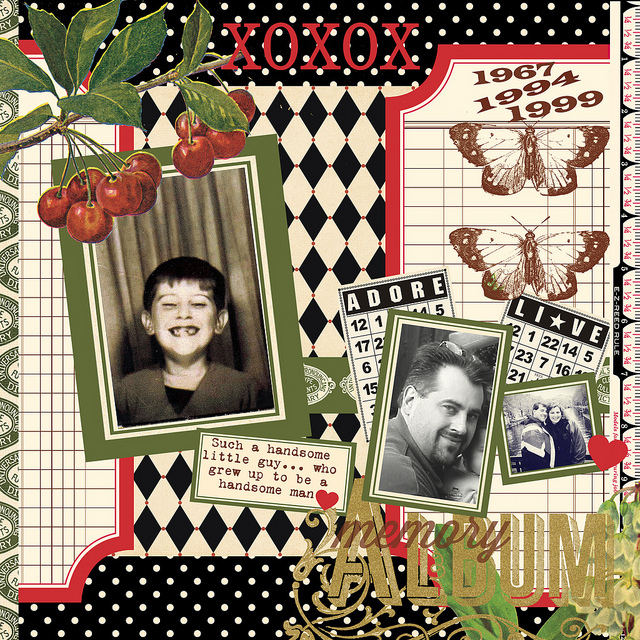 Chrissy Guido has used extractions and blending techniques to transform the patterned papers in the kit and add collaged and stamped elements to her one-of-a-kind design. 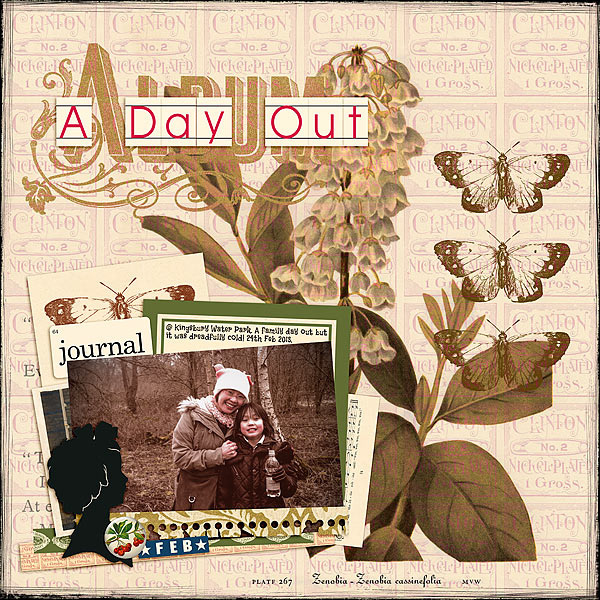 And Audrey Tan brings together her blending skills with lots of layers to create this beautiful digital page with a vintage collage feel to it. Now hop on over to the shop and grab this collection while its on sale! The Haven Collection will be 25% off thru Sunday, Mar. 3rd.